I know Dr. Parker, and am familiar with some of her work related to Alzheimer's. She is to be commended for the work that she is doing, and for her passion for educating African Americans about Alzheier's disease. We need more people to get involved with this work. Contact your local Alzheimer's Association to see how you can sign up as an Advocate. I would most likely donate my brain for your studies for ADRC after i die, because im 59 years old & some times.i wonder if im at the stage of this disease, because i sometimes forget where igoing are, wherei live & is beginning to scare me to the point that i stay home more because of the memory lapse. There are many segments of Alzheimers that have a direct affect on African American Communities. One area that is of great concerns is that of Rural African American Veterans with Alzheimers. Usually these persons do not get the attention in that they have no transportation and often drop out of the VA System of Care and end up with local Health Systems at home with less than the care they actually need. 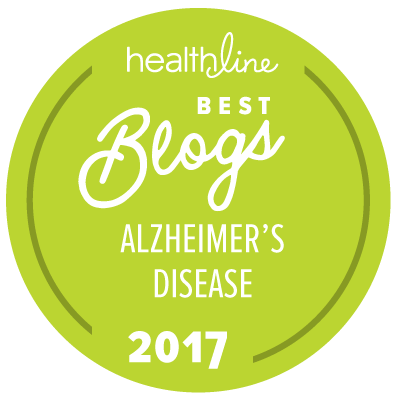 I am so glad to see the Alzheimer Association addressing clinical trials and specifically posting the article written by Dr. Monica Parker. Dr. Parker was my Aunt's primary care physician prior to her entering Hospice Care and encouraged family members to attend educational seminars. I am an African-American, with a family history of this disease. My spouse and I are participants in one of Emory University Hospital's Alzheimer clinical trials. We are in our second year and the experience has been an eye opener. It is also comforting to know that through this process we have a better chance at identifying proactive steps to minimize our risks as well as early detection. With respect to brain autopsy, because my Aunt is an organ donor making the decision to support brain autopsy donation was not difficult for me but bothered other family members. However, Dr. Parker's endorsement of this process makes my role as caregiver and guardian easier as I navigate through all of the challenges associated with such a horrific illness. Thanks Wanda for your enlightening post. I have attended two of the educational seminars and feel better informed about this disease. I also participated in the COORS class. My husband is participating in a clinical trial. Bless you for this article and know that you are not alone in your journey. I can only thank God for a great daughter of Africa, Dr. Parker – she is an invaluable asset to humanity. I consider her an ambassador of Mama Africa to the civilized world. Some parts of the world my connive at Africa's rich history of civilization, but it stands as a bright star that can not be ignored. I am 63 black male living in the Baltimore area. I have tried to sign up for trials but don’t seem to have enough symptoms yet. What for these trials look for? My mom has been diagnosed with Alzheimer. I look forward to a cure for this dreadful disease. Committee 2011-2014. My best friend got me involved with the organization after she helped establish the St Charles committee. Her mother had been diagnosied with Alheimers. My best friend has now been stricken with this life destroying disease. I’m even more committed to doing what ever I can to find a cure. Great article. I met Dr. Parker last year and am glad she is leading discussions and educating our community about this dreadful disease. I admire Dr Parker because she becomes the god for many Alzheimer's patient. Once I read like he is her last stage of research about this deadly disease and you are a great inspiration for many people. Really need to thank each and every organisations like Prestige care Inc in Vancouver who is giving their maximum support to their patients. All of us should put effort and energy into raising awareness regarding the importance of education. Good education opens doors and should therefore be encouraged. Let's all follow Dr. Parker's example and so what we can about it.